Sauvignon blanc can be a pretty strident, demanding grape at times. But while some people like their wine to shout loud, I prefer a bit of restraint and subtlety. 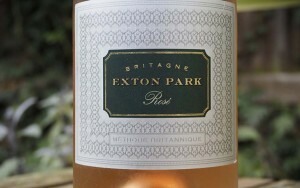 For this reason, I tend to favour sauvignon blancs from France over those from the New World. This is, of course, a sweeping generalisation, and there are some lovely, subtle examples of wines made from this grape in parts of New Zealand, South Africa and Chile. But, as a rule of thumb, France tends to be my first port of call. Sometimes you don’t want to have to think about your wine too much. There are days when you just want an uncomplicated glugging quaffer with plenty of fruit and freshness and enough character to make it a good partner for a meal, the wine equivalent of a bit of flirtation rather than a long-term relationship. 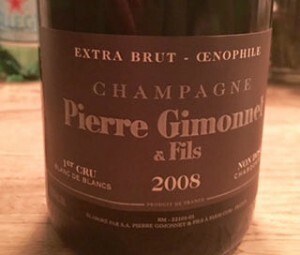 Sometimes, in short, you want a bottle of gamay. I’m a big fan of the gamay grape. Most often you’ll find it in Beaujolais, its homeland, although there are more than a few gamays made in the Loire. Increasingly, though, I’m coming across gamays made in the New World, and I couldn’t be more delighted. 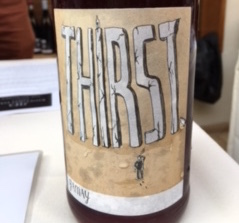 I’m hoping this means that the grape is shedding its poor image – tainted by vast lakes of poorly made Beaujolais Nouveau – and is now finding a new fan base. 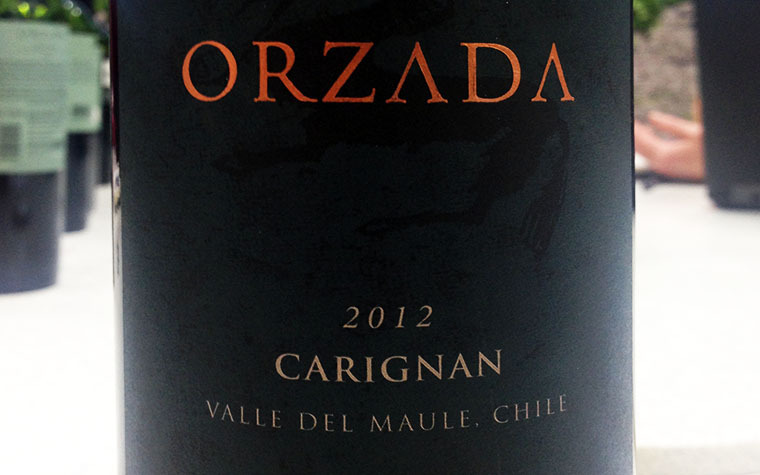 Carignan’s a funny old grape. One of my colleagues once wrote that the only time anyone had ever got down on one knee before a carignan vine was to (and I quote) ‘uproot the bloody thing’. 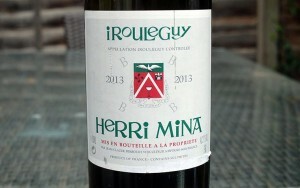 Things change, though, and this grape – once the workhorse of the Languedoc, planted largely for its generous yields and its ability to add acidity to a rich southern blend – is increasingly sought after. Not all carignan, of course. 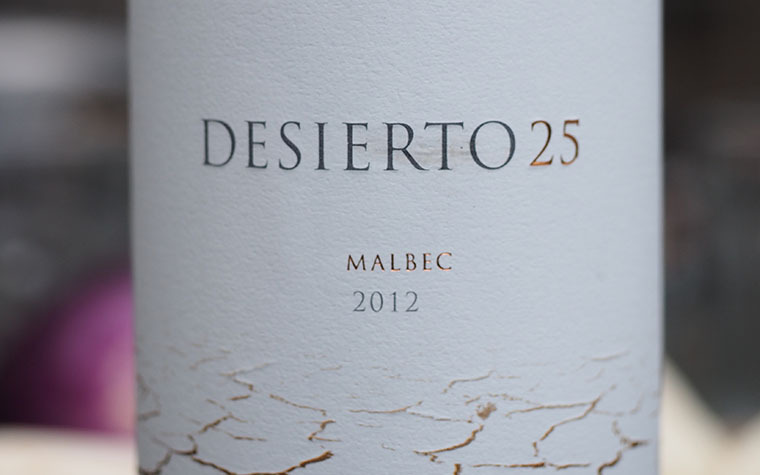 Young vines planted on plains with rich soils and copious amounts of water still create wines that are, at best, rustic and chunky. As a computer programmer might say, junk in, junk out. Old vines of carignan, however, yield small quantities of grapes that make richly textured, densely flavoured wines. 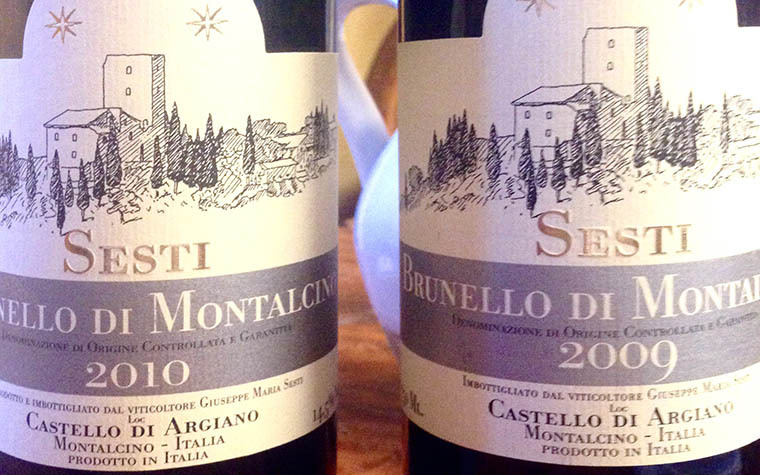 When you’re buying a bottle of wine in a restaurant, it’s often tempting to stick with the familiar. 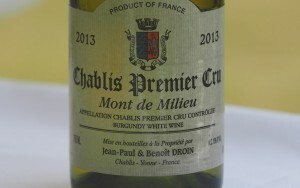 Smart restaurateurs and sommeliers know this, which is why the highest per-bottle mark-ups tend to be on wines like Chablis, Rioja and Sancerre (especially in wine-friendly restaurants, where staff are keen to get guests to try something a bit different, for a change). The smart thing to do is to take the vinous road less travelled by (enlisting your waiter as a guide, if necessary). True, you might end up with a bottle you’re not keen on, but the odds are far higher that you’ll make some wonderful new discoveries. Over the course of the past 15 years, I’ve been lucky enough to travel to some pretty exotic regions for work. One of the most remote was Patagonia, way down in the south of Argentina. When I think about Patagonia, several images come to mind: vast herds of sheep ambling towards a limitless horizon; gauchos galloping their tough ponies across endless grasslands, whirling bolas at the ready as they prepare to corral young steers; the bluish white of ice floes floating close to the glacier fields of the continent’s chilly southern tip. It also brings to mind Bruce Chatwin’s elegiac book, In Patagonia, with its account of the tough-minded Welsh community, descendants of immigrants who settled the area in the 19th century, and its haunting evocation of the lonely landscape. 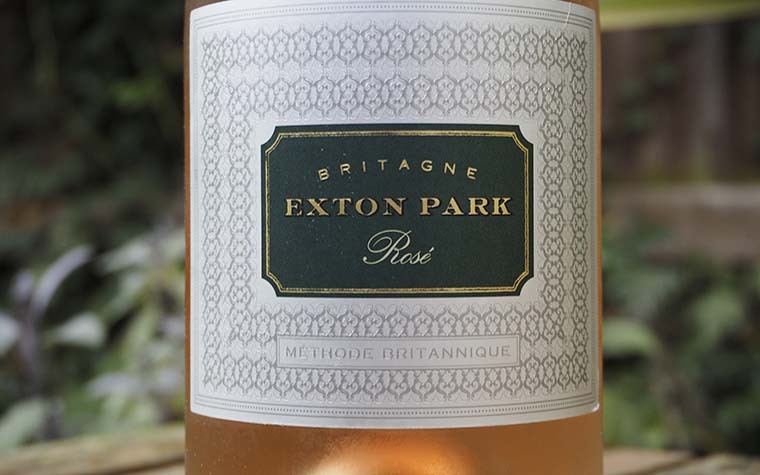 I’d planned to write up this wine last week, when I had an excuse to talk about the joys of drinking bracingly fresh white wines on a hot summer’s day. Looking out the window today, though, I realise that I may have mis-timed that particular intro (an object lesson in never putting off until tomorrow what you can do today, perhaps). Despite the dense white clouds now hanging over London (not to mention the fact that the dog returned from his morning walk dripping rainwater like a super-saturated four-legged sponge), I still maintain that a good Chablis is just the kind of wine I want to be drinking at this time of year. 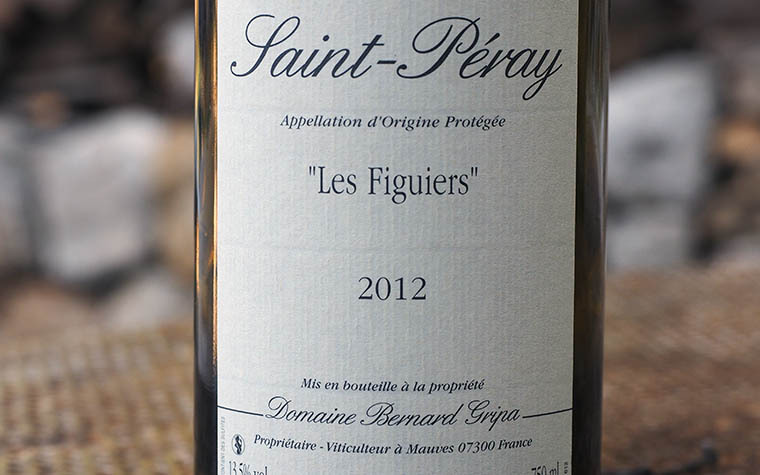 Anyway, I decided to include a bottle of Bernard Gripa‘s Les Figuiers, a wine that had impressed me so much in the 2010 vintage that I’d bought a six-bottle case of the 2012 when the wine was released. I opened my first bottle last year and, frankly, was a bit disappointed. The wine lacked the richness and weight I’d been hoping for.